For English instructions, please scroll down to the bottom of the page. Redeeming "OPUS: Rocket of Whispers Special Bonus Tracks"
*Each code is limited to just a few download attempts. Please keep your Special Bonus Tracks safe and secure. 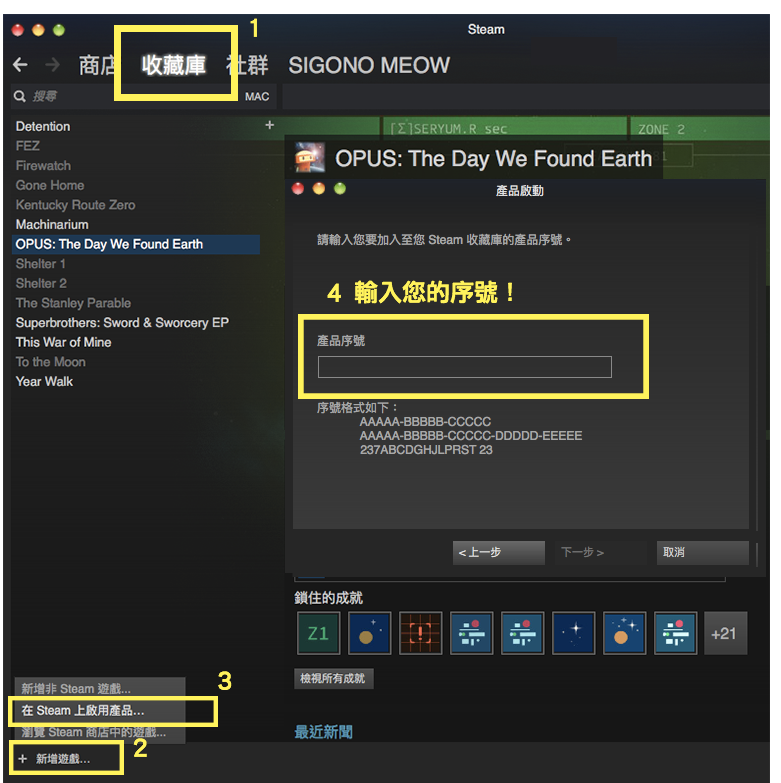 Redeeming "OPUS: The Day We Found Earth on Steam"
Click the button in the bottom left corner that says "+ ADD A GAME…"
Redeeming "OPUS: Rocket of Whispers on Android&iOS"